As veterans and passionate fans of the craft beer community, the three of us decided to use our combined 20 years of experience to blaze our own trail and leave a lasting imprint on the industry we love. 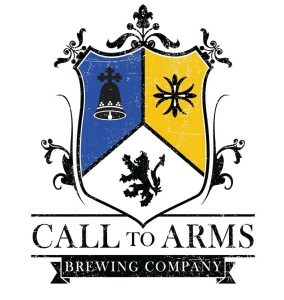 Call to Arms is both our battle cry and our tribute to the family, friends, and coworkers who’ve helped us along every step of the way. This is our passion; our overture; our movement. This is our Call to Arms. This list includes beers brewed currently, previously, or seasonally by Call to Arms Brewing Company. Contact the brewery for current beer availability.